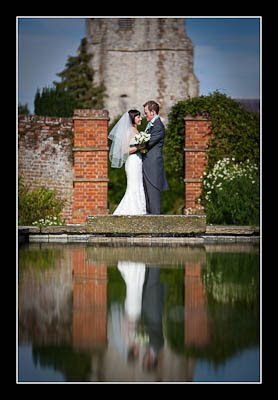 I had the pleasure of photographing Hannah and Matt's yesterday at St Nicholas Church, Ash and Goodnestone Park Gardens. The weather forecast was for sunny intervals, but it was more sun rather than intervals, but where there's a will there's a way and I managed to minimise the impact of harsh light in the photos. St Nicholas Church in Ash is absolutely beautiful and Father John very welcoming. I've had a good run with very friendly vicars recently. Long may it continue! Goodnestone Park Gardens is stunning and a perfect venue for a wedding reception. A real hidden gem. I've finished processing their photos. Please check out their wedding gallery.